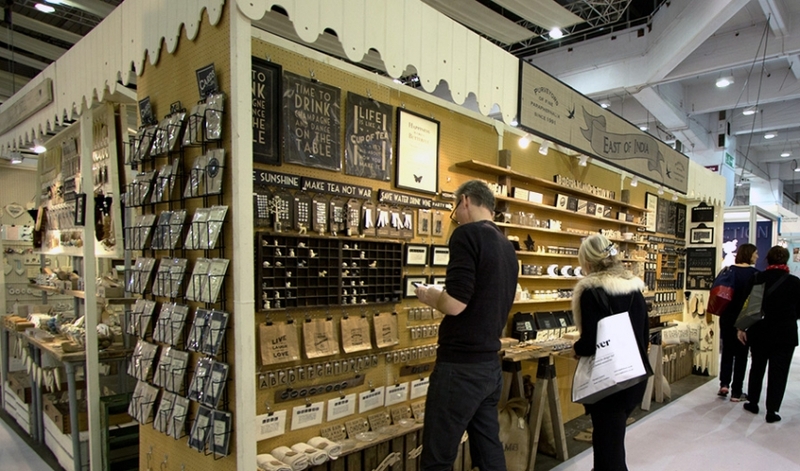 More highlights from January 2014's Top Drawer, Home and Craft in London. 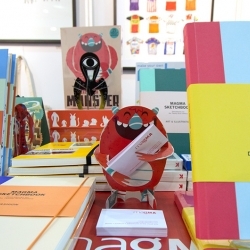 Lots of fun displays, products, and colorful goods! 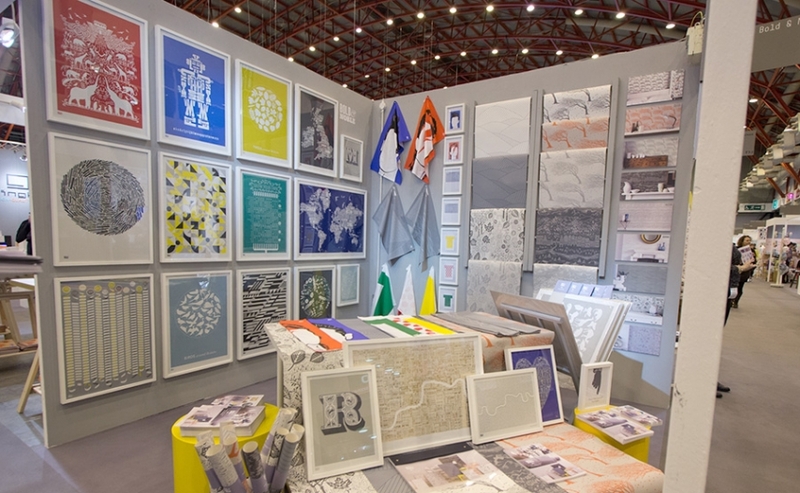 This year Earls Court brought together Top Drawer, Home and Craft, bringing together makers and distributors of all sorts of products together. 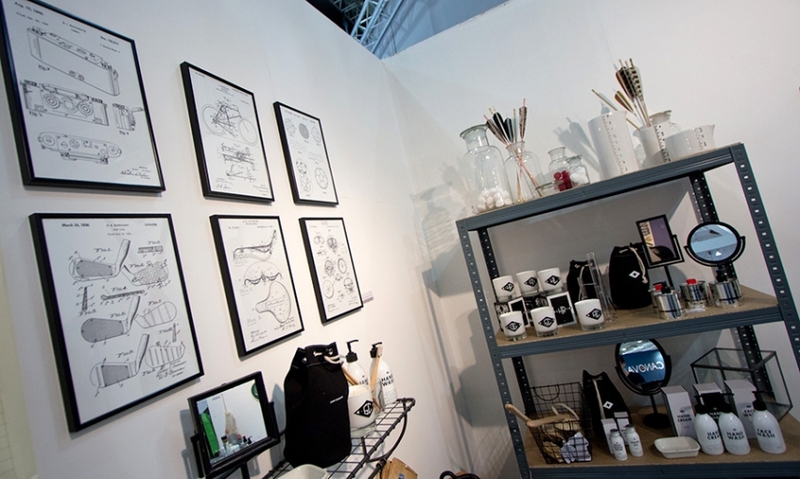 Needless to say, there were lots of great finds, including new discoveries and new work from old favorites. 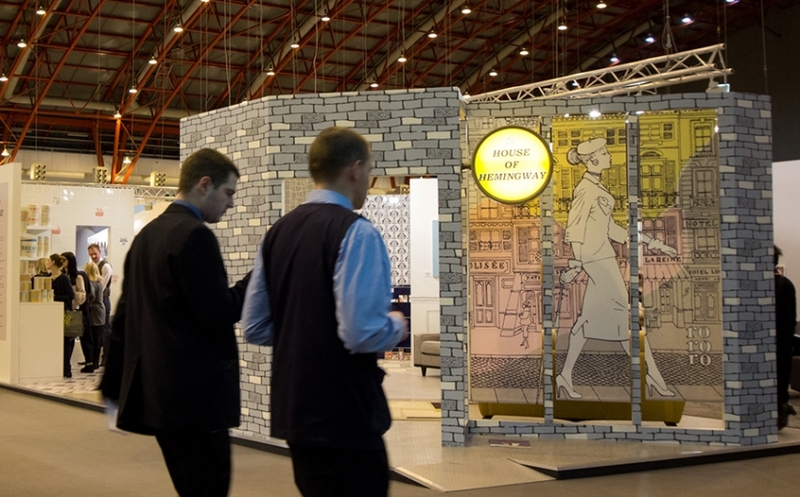 Here are some of our highlights from the shows. 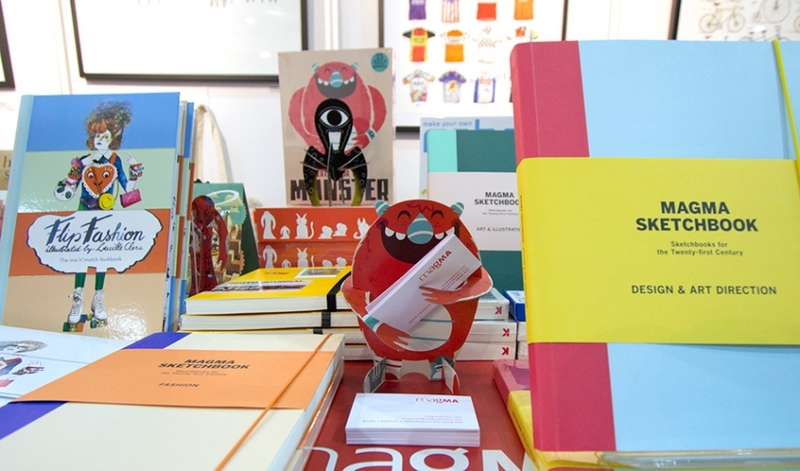 Create Your Own Monster, or excellent business card holder in this case, standing between the the Magma Fashion Sketchbook and Design and Art Direction. 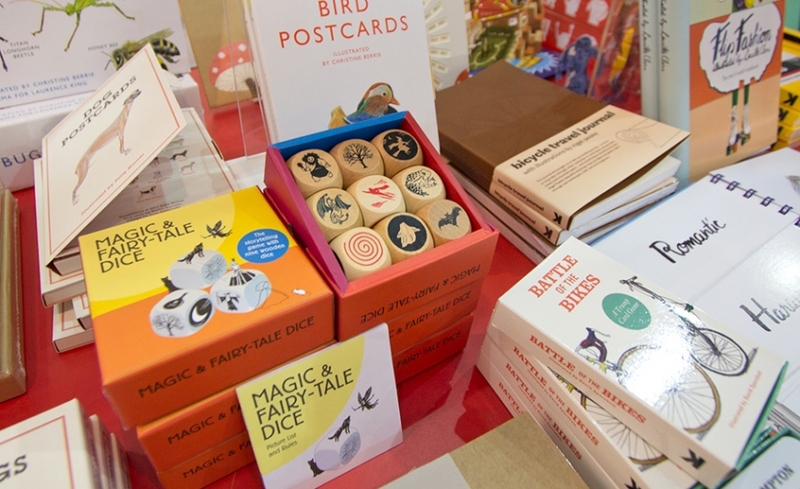 Magic & Fairy Tale Dice and more goodies from Magma. 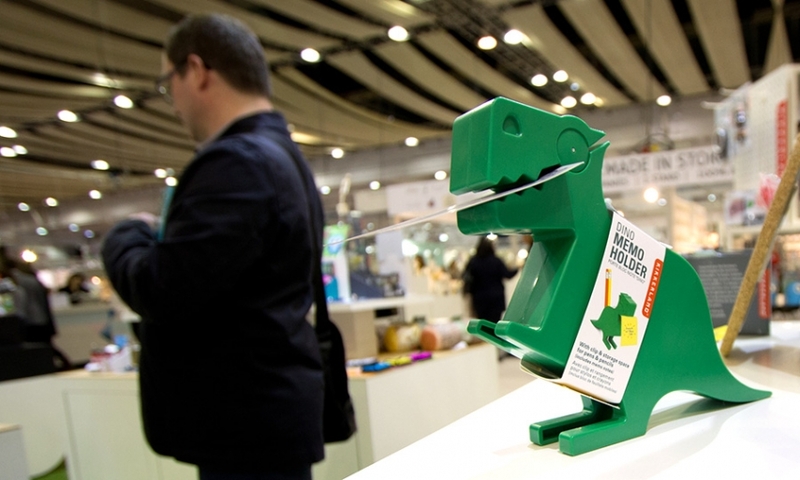 The Dino Memo Holder at Kikkerland. 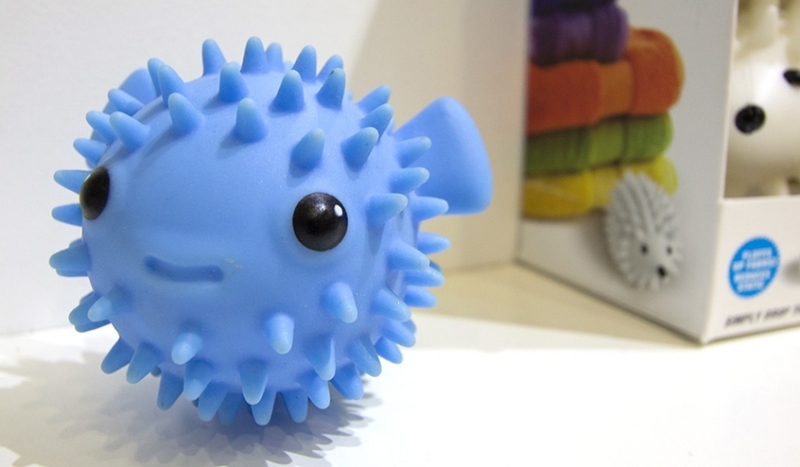 Kikkerland's adorable puffer fish dryer ball, with the hedgehogs peeking outbehind. 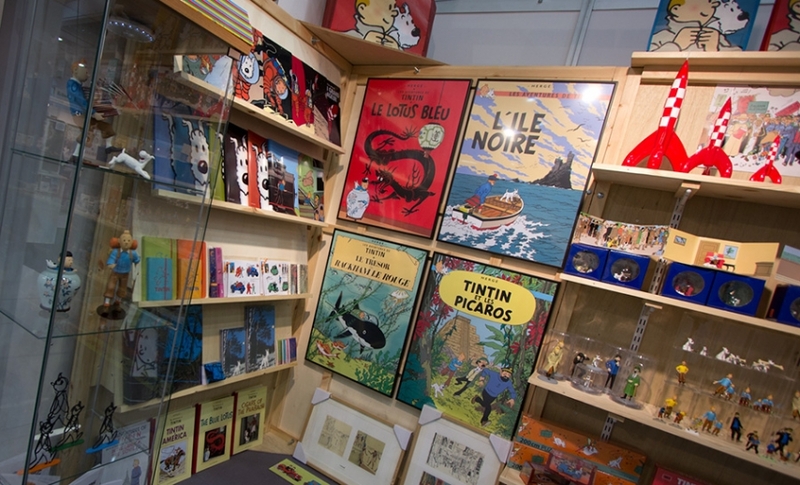 Lots of fun products at the Tin Tin Shop. 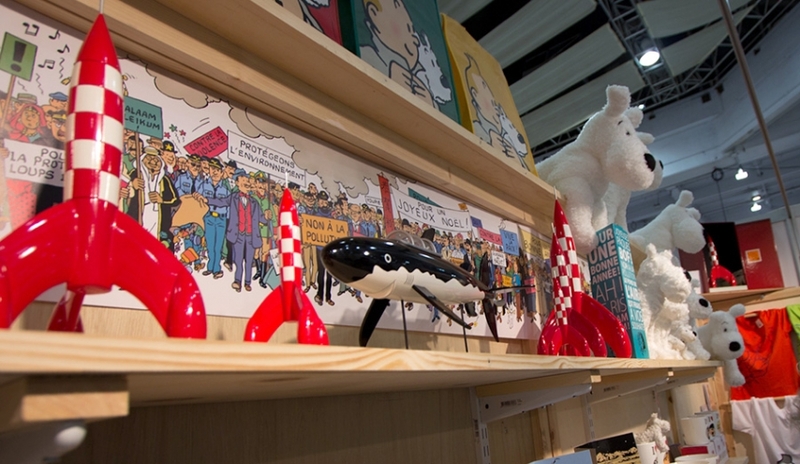 Lots of Snowy toys and a gorgeous Shark Submarine model. 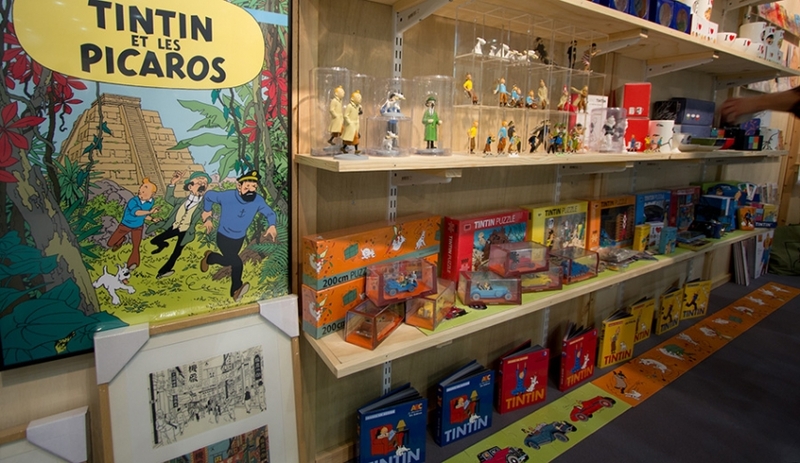 Tin tin prints, books and figurines. 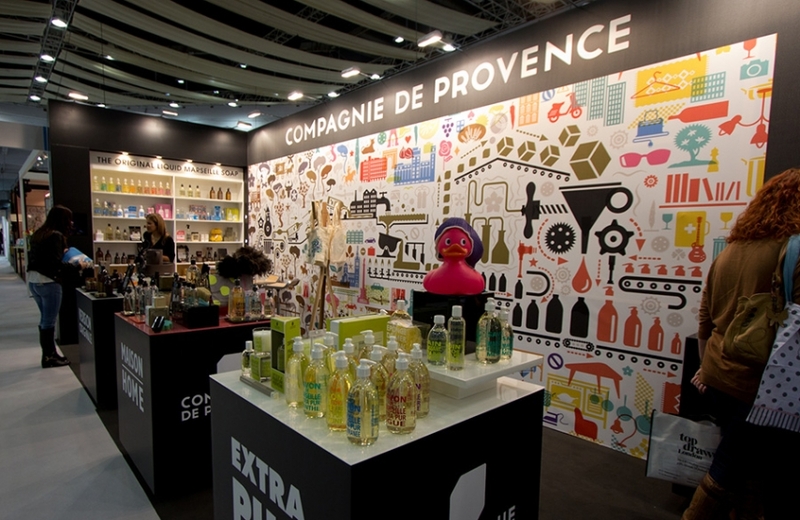 Beautiful display from Compagnie de Provence. 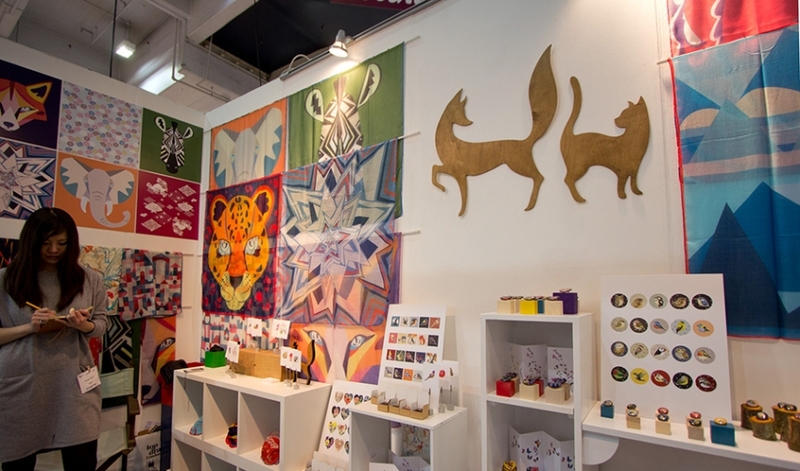 The walls were filled with icons! 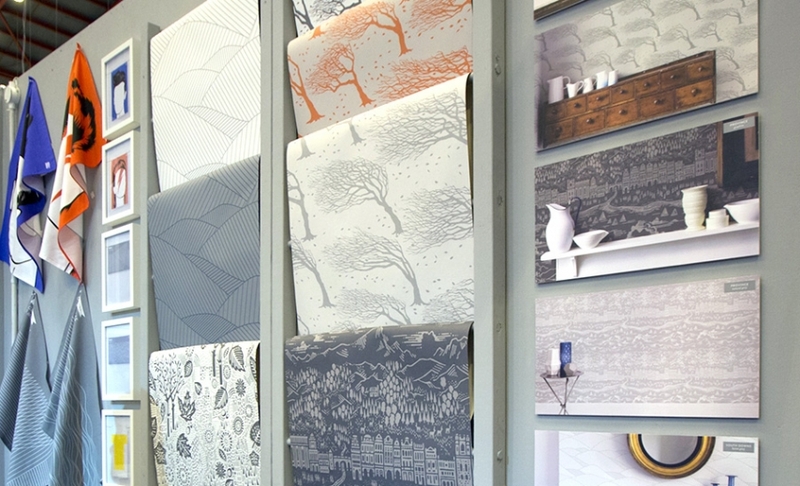 The always lovely Bold and Noble launched their first range of wallpapers. 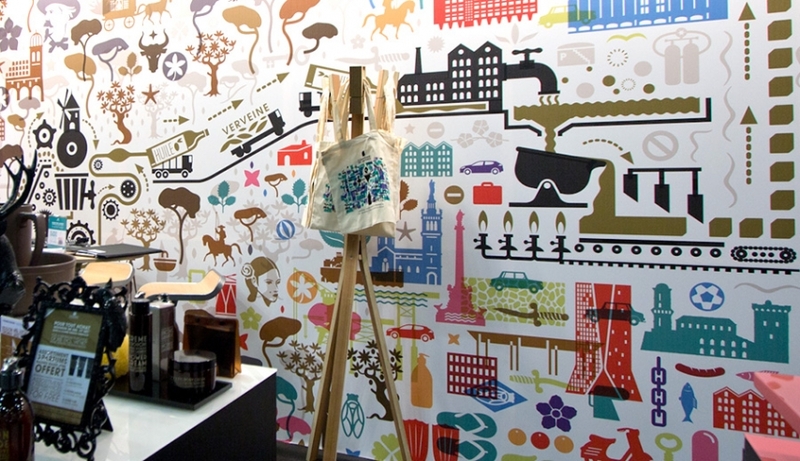 The new wallpaper range is freshly printed (just in time for the show) and works beautifully with their iconic prints. 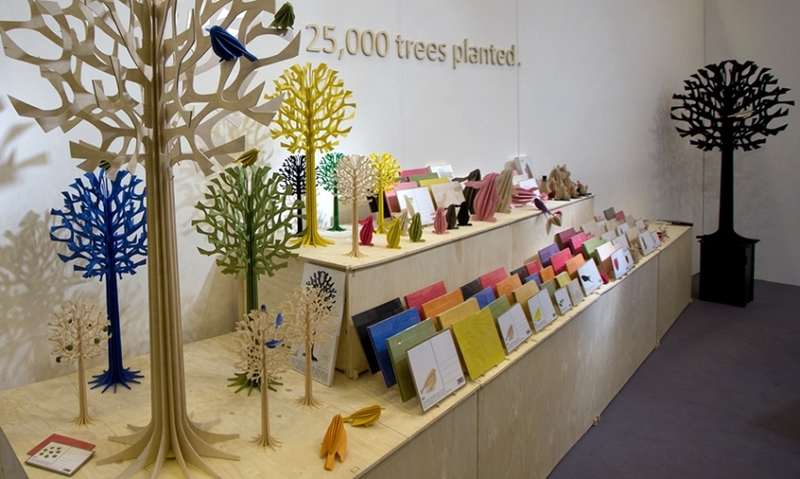 Beautiful greeting card display from Velvet Olive. 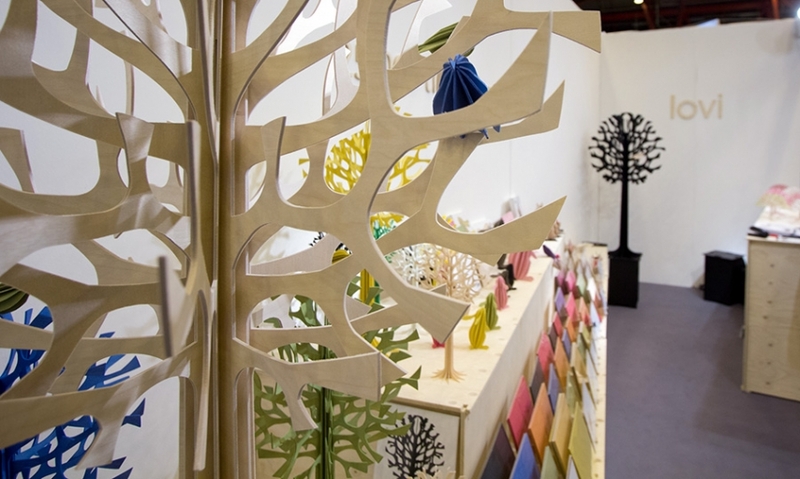 The trees now come in a range of colors and sizes, and even include a Christmas tree that comes with baubles or birds! 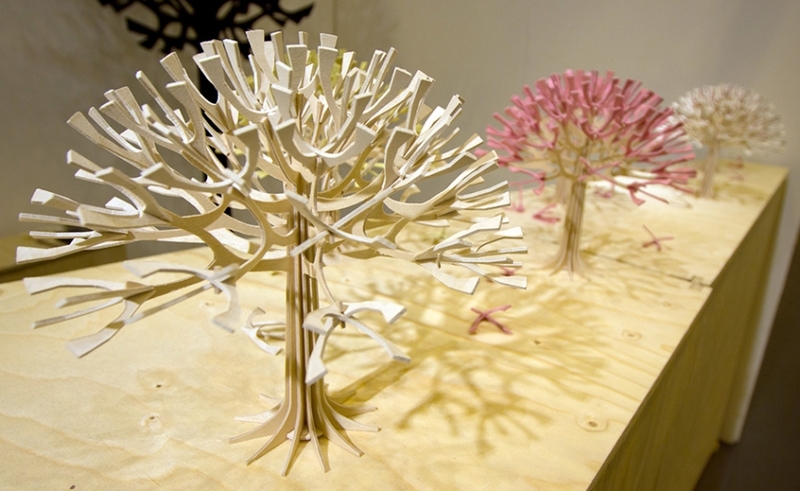 Small Lovi trees in a variety of colors. 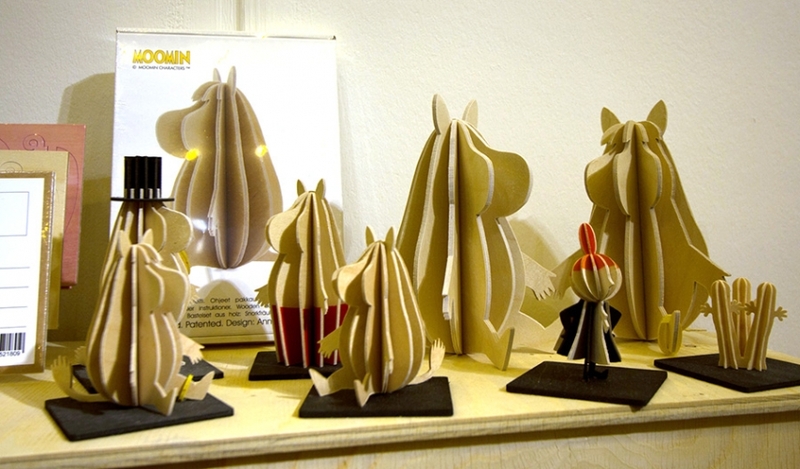 Pop-up Moomin characters in a fun collaboration. 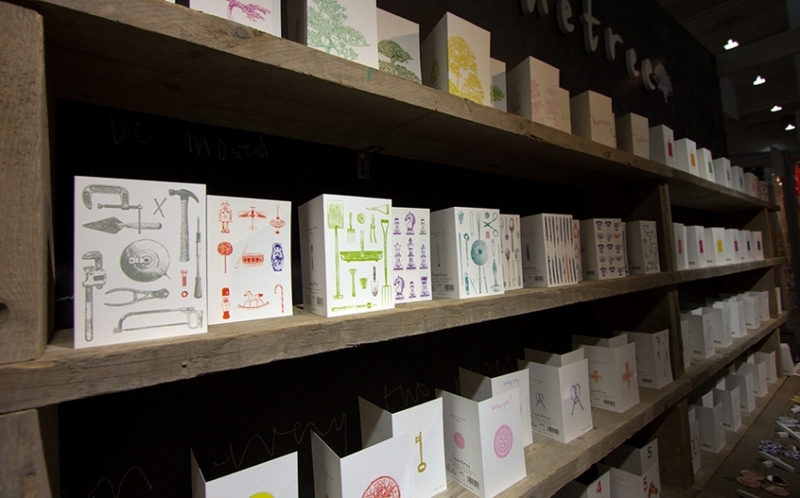 Lovely stationery ranges from Lonetree. 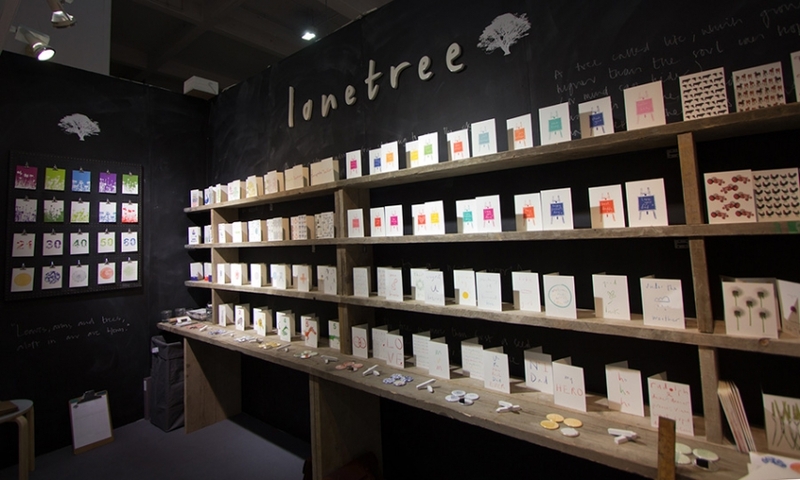 More of Lonetree's beautiful designs. Technical prints and more from Mens Society. 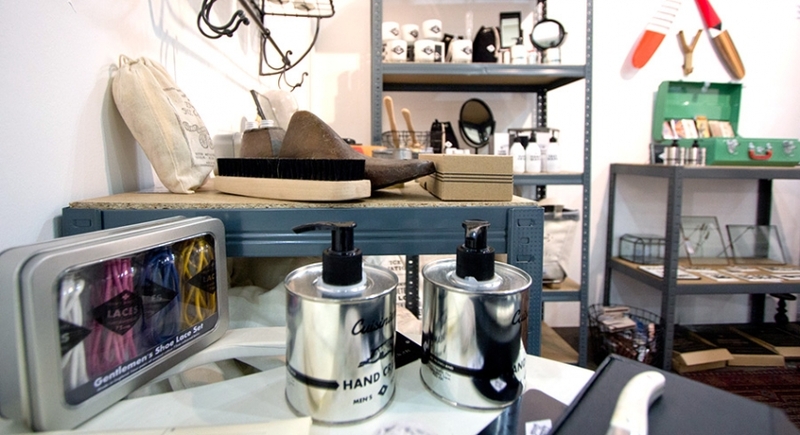 A Gentlemen's Shoe Lace Set, among other manly goods. 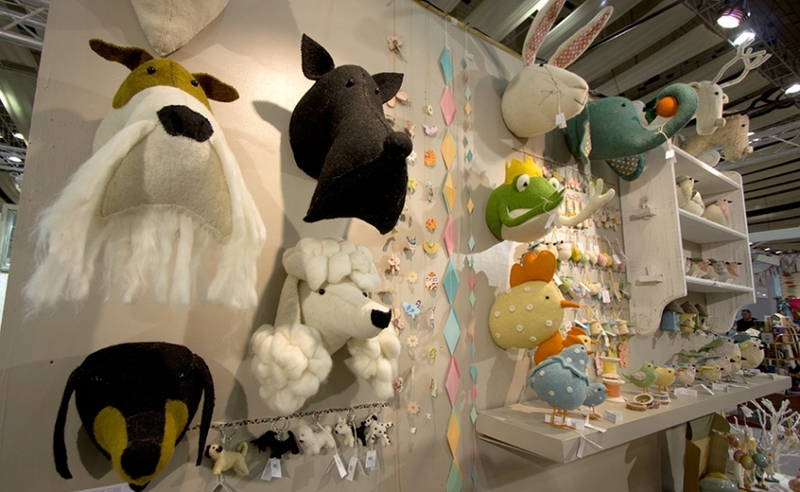 An assortment of felt toys and trophy heads from Scandi-Chic. 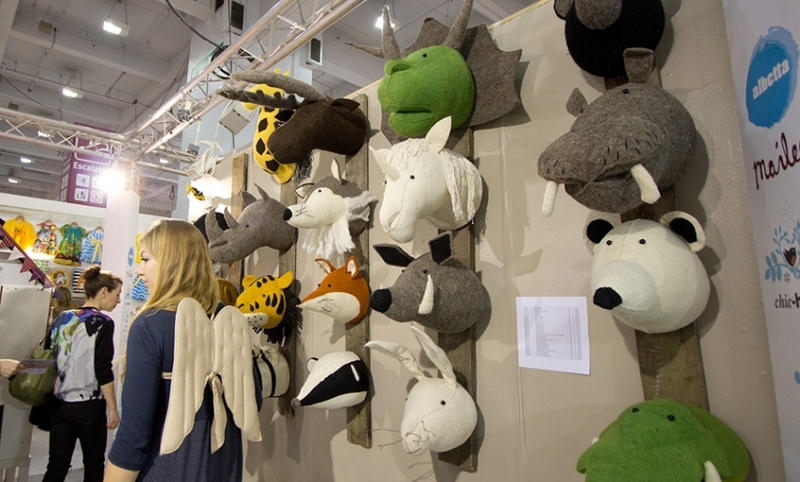 There are so many animals to choose from! 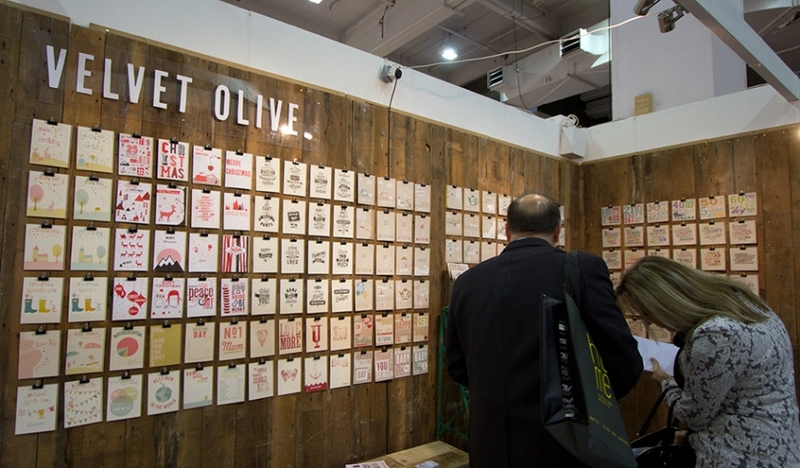 Vintage typography beautifully showcased in this display from East of India. 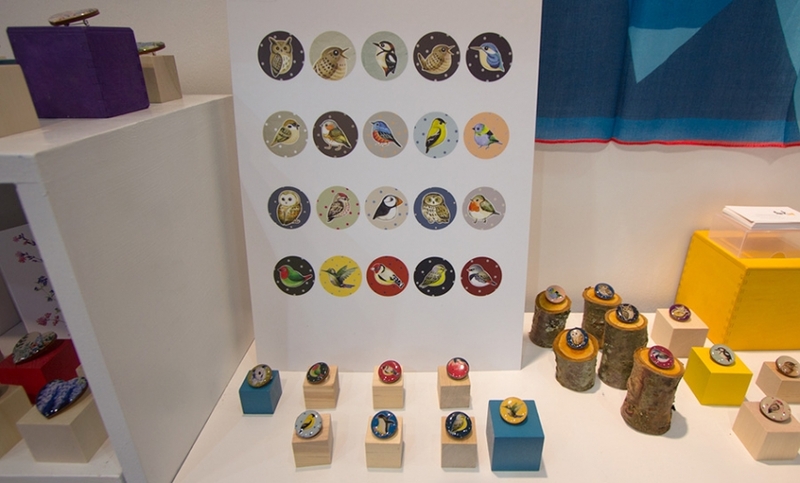 Prints and illustrations from Zixiao. 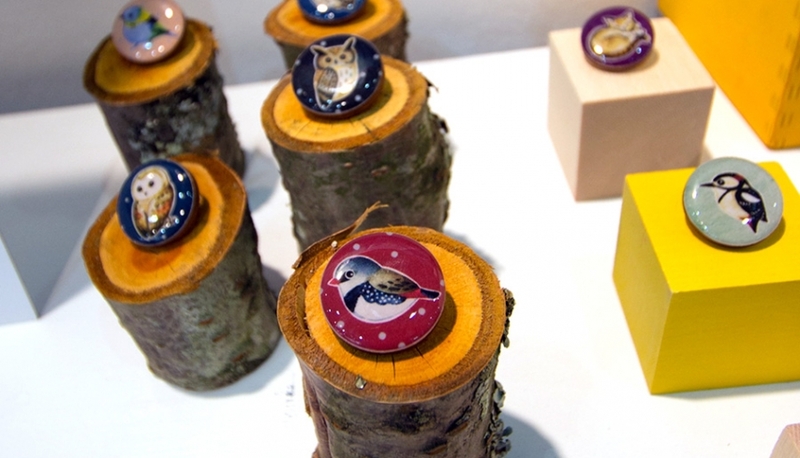 ...and their tiny logs stands!